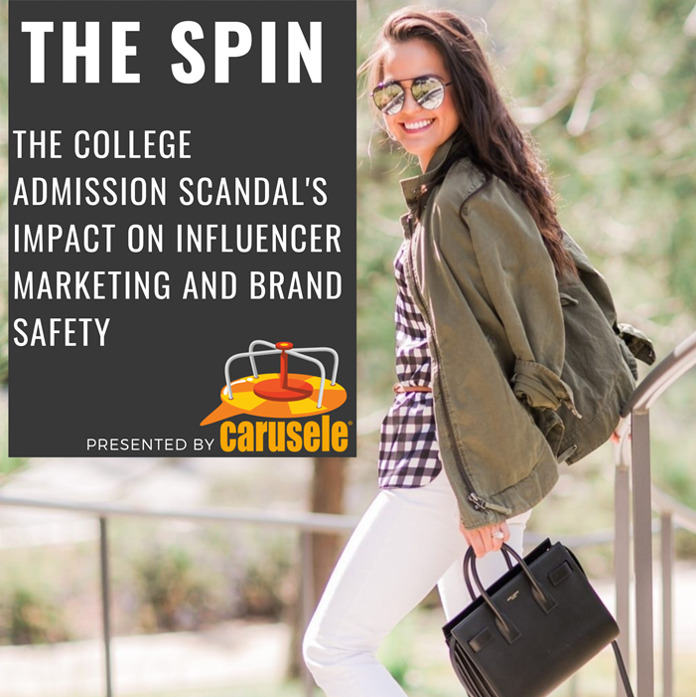 Chances are you know all about the recent college admission scandal involving Lori Loughlin, a well-known actress, and her daughter, Olivia Jade, as well as a multitude of other famous celebrities. The unique situation about Lori and Olivia Jade is that Olivia Jade is also a well-known influencer who's worked with some major brands (until recently). Now, this entire scenario had made me think of a maxim that is true in influencer marketing, which is the bigger the influencer, the bigger the risk. Think not only Olivia Jade but people like PewDiePie or Logan Paul. When these guys went down in flames, the brands were sucked into that narrative as well. It's not necessarily a risk that you want to take or need to take when new data released in the last week shows that major influencers have terrible engagement rates relative to micro-influencers. The other thing to factor in is yes, we want authenticity, but brands need to make sure they want to be part of the particular authenticity an influencer is portraying. We're looking at an influencer right now who's being investigated by Child Protective Services for the way she's handling raising her children. Yet, we see well-known baby brands still engaging her to do programs. This is a bit of a train wreck. Brands that rely on the data only and aren't doing the heavy work of going through profiles, looking at stories, seeing why these engagement rates are so high, because they're not always for the right reason, are more likely to get themselves caught up. Ultimately, it's the brands obligation to do their homework. Make sure whoever you're picking to be your ambassador is one you want to be with for as long as possible. And if you have trouble finding the right resources to get the job done right, give us a call!